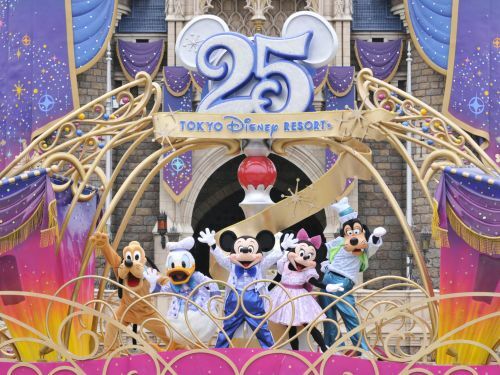 Tokyo Disney Resort consists of two theme parks : Tokyo Disneyland, a “Magic Kingdom” park, that was the first Disney theme park to be built on non-U.S. territory : it opened in April 1983 and was an instant success. The sister park is the Tokyo Disney Sea, which opened in September 2001, is an oceanic-themed park exclusive to Japan. By all accounts Disneyland Tokyo is quite a bit like the original Disneyland in California. 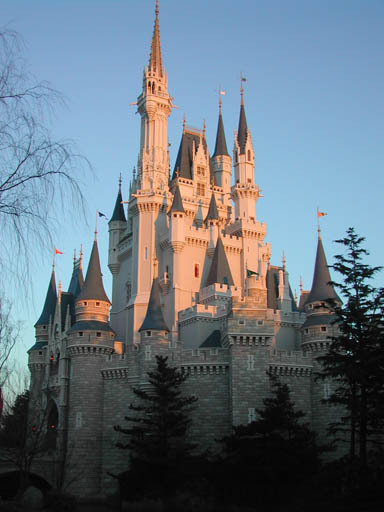 The seven theme lands of Tokyo Disneyland are, starting from the main entrance and going clockwise around Cinderella Castle, World Bazaar (it’s known as Main Street, USA everywhere else and this version is covered by a Victorian-style iron-and-glass canopy), Adventureland, Westernland, Critter Country, Fantasyland, Toontown, and Tomorrowland. With just a solitary exception, the attractions are essentially the same as those found everywhere else. 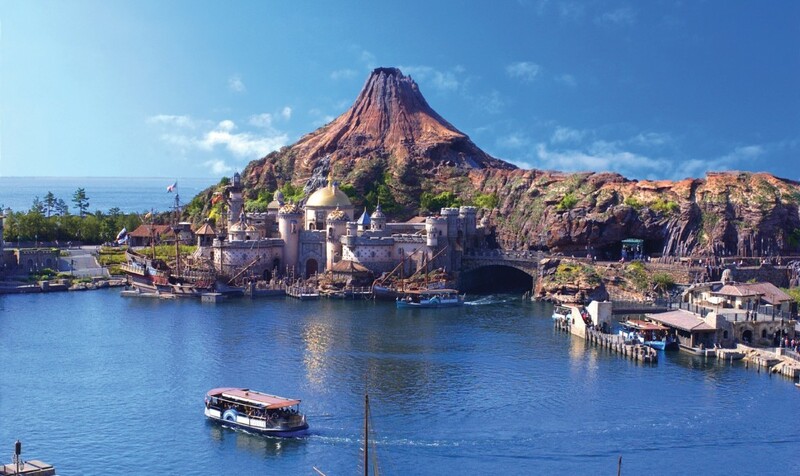 If you visit Tokyo Disneyland, you might want to consider the sister attraction at the Disney Resort : Disney Sea. Like Tokyo Disneyland, it is arranged in a circle around a central landmark, in this case Mount Prometheus, an artificial volcano that “erupts” intermittently. There are a couple of rides that have a water spray, but you should not expect to get too wet. Starting from the main entrance and going clockwise around Mount Prometheus, the seven theme “ports of call” are Meditterranean Harbor (a reproduction of Venice), American Waterfront (a reproduction of the Eastern Seaboard of the United States), Port Discovery (a science-themed area), Lost River Delta (a reproduction of a tropical rain forest), Arabian Coast (based on Disney’s Aladdin), Mermaid Lagoon (based on Disney’s The Little Mermaid) and Mysterious Island (based on the books of Jules Verne). Aside from the Tower of Terror (which can also be found at Disney’s Hollywood Studios, Disney’s California Adventure and Walt Disney Studios Paris) in American Waterfront and the Indiana Jones Adventure (which can also be found at the original Disneyland in California) in Lost River Delta, all of the attractions in DisneySea are unique to Japan.